Art Goes Digital: What is the best drawing tablet and which tablet should I buy? Artists all around the world are quickly finding themselves thrown headfirst into the age of digital art. Although not necessarily a new idea, the fact is that digital art is becoming more common, further prompting artists to come out from their comfortable realm of pencil and paper. As higher specification artwork is required and expected it is inevitable that technology will intervene and become the norm’ of the artists tool set. This may appear a daunting prospect, particularly if you are not particularly computer ‘savvy’ and hunt for the best drawing tablet can be confusing. I was in this position, many moons ago and decided to take the leap of faith. It was obvious to me that the world of art was changing faster than it had ever done in history. I was determined to hang on to the coat tails of techno art before it left me behind. It was tough to learn yet another skill but boy am I glad I did. 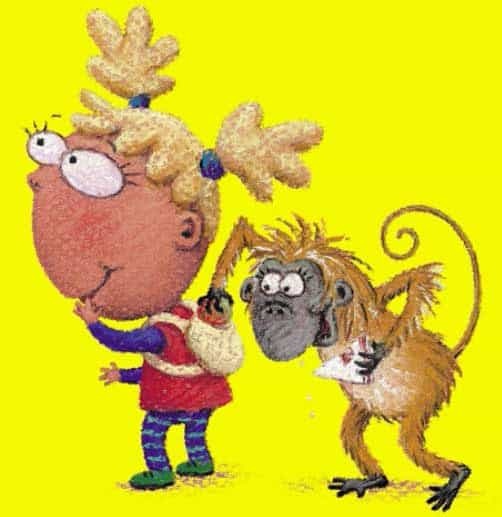 I still look back at those hours spent with correction fluid and sticking patches on paper based cartoons with fond horror! First things first. In order to avoid any confusion, it is important to note that graphics tablets go by multiple names, such as drawing tablets, drawing pads, graphics pads, and digitizing tablets. This article will include some or all of these names throughout, but keep in mind that they all refer to the same device. The forthcoming information is largely aimed at those wanting to learn about graphics tablets. Including their many capabilities, the mechanics of how it all works, and more. What are Graphics Drawing Tablets? Graphics tablets are input devices similar to a keyboard or mouse. Rather than communicating keystrokes or clicks to the computer, a digitizing tablet acts as a digital page or canvas. This drawing surface allows the creation of digital art. In order to do this, a stylus or pen-like tool is required. The tablet syncs to the computer, usually by way of a USB port or Bluetooth, while the stylus syncs to the tablet with the use of magnetics. This “syncing” is what allows the tablet to read marks made by the pen and then communicate them to the computer, making them visible on the screen without delay. All graphics tablets feature an active pad with a certain amount of pressure sensitivity the level of which depends on different models. Applying pressure with the pen onto the surface of the drawing tablet causes a mark to show up on screen. The harder the pressure, the darker a mark will show up. Pressure sensitivity is key for controlling line thickness, color, blending, and transparency. Further, the pen is more than just a pen. It can be transformed into a digital version of a paintbrush, pencil, calligraphy pen, and more. This allows for modification in brush size, shape, opacity, color, and other attributes. 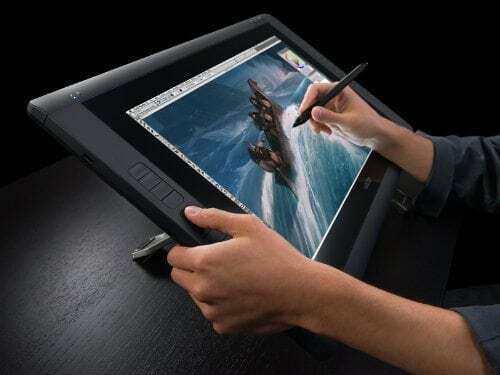 What types of Graphics Drawing Tablets are Available? The type of graphics tablet mentioned above is one that contains an indirect pad. However, there is another type of tablet that contains an LCD screen acting as a direct pad. 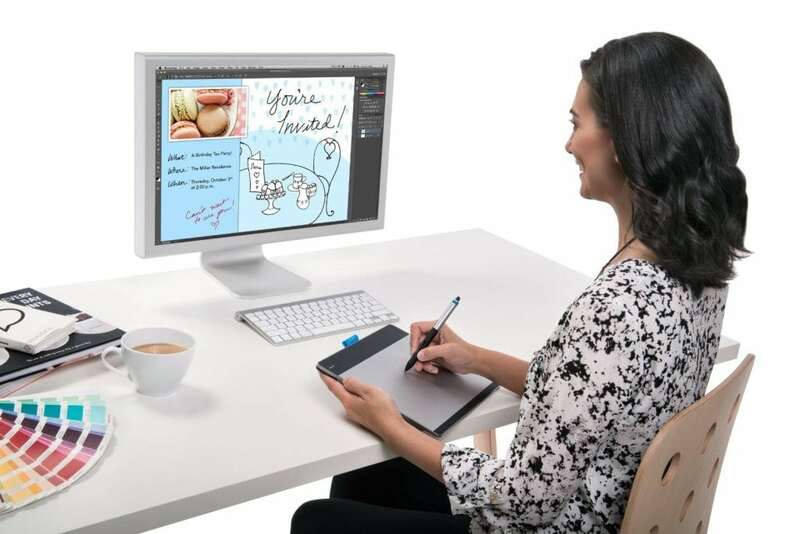 A drawing tablet featuring a direct pad has an active area that doubles as a monitor. The overall functionality of these two types of graphics tablets is essentially the same throughout. The major difference between an indirect and a direct pad is that an indirect requires you to focus on the computer screen while drawing. A direct pad allows you to both draw and view directly onto the tablet itself. A direct pad oftentimes allows for increased accuracy and precision. If you are really looking to achieve that pencil-on-paper feel, the direct pad is as close as you’re going to get. The difference in drawing experience between direct and indirect draw is quite significant. I generally use one of my direct draw tablets as I just like the experience of drawing directly onto the screen. I do use my indirect tablets but it takes a couple of minutes to re-adjust my eye hand co-ordination. Besides the drawing tablet and the pen itself, no other tools are required in order to get to work. There are, of course, some optional tools that are geared toward direct pad tablets. 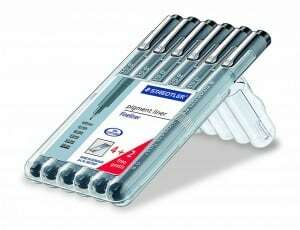 These can be used to ensure that the artist has the chance to experience the tablet’s full potential. 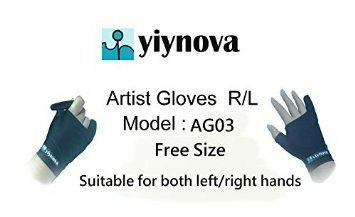 Some examples of these optional tools are adjustable stands and mechanical arms, but perhaps the most useful tool to have is that of the art glove. An art glove is a partial glove that artists wear while drawing. This rids their tablet’s LCD screen of hand smudges and general grime. A glove also allows the hand to glide along the screen without friction, resulting in smoother and more precise lines when drawing. 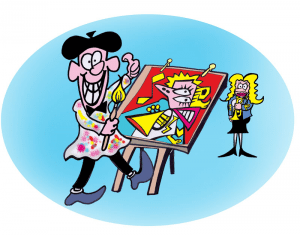 Must-have for all artists is that of reliable graphics editing software. For instance, Adobe Photoshop and Corel Painter are two of the most popular software used by professionals. Both of these programs come equipped with numerous brushes, effects, and plug-ins, providing plenty of versatility. 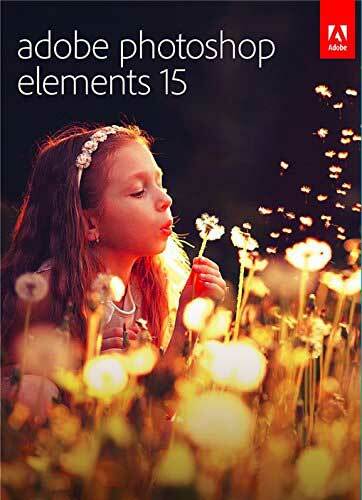 Photoshop Elements is a great program sold at a fraction of the price of the official Photoshop software and sometimes comes included with the purchase of certain graphics tablets. Although this program lacks some of the advanced features that Photoshop has, it is nonetheless efficient and has what it takes to get the job done. One more program that deserves a mention is GIMP (GNU Image Manipulation Program). This program is an open source alternative to Photoshop, available for use free of charge. Compatible with many graphics tablets, GIMP includes many of the core features that Photoshop offers in regard to 2D image editing. Learning how to use graphics software takes time and unless you have a good guide or tutor you may only scratch the surface of what is possible. Modern software contains many tools, effects and the combination of using the various features can produce literally thousands of different effects. To get the best out of your tablet, master the software and produce brilliant work. There are some great services on the internet to give you all of these goals. YouTube is a free resource with video tutorials on every graphics software you can think of. However many videos are of low value or disjointed. Ideally you need a tutor that will take you from absolute beginner to expert with professional video tutorials delivered by experts. The best resource on the net is, in my opinion, Lynda.com which has over 3000 professional tutorials. Read our review of Lynda.com which offers a 14 day free trial so you can try before you buy. Enough time to learn how to use Photoshop, Sketchbook Pro, or your chosen software without any cost. We think you will like it so much you will subscribe to get the best total training available at a ridiculously low price. Once you have learned the basics there is no better and often infuriating way of learning than diving straight in. The best way to learn is by as much practical use as possible. The more you play with your tablet and the more errors you make the faster you will learn. 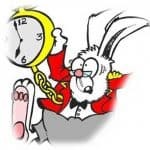 Many of the actions in graphics software are repetetive and you will pick up these actions quickly and they will lock into your brain never to be forgotten (honest!). 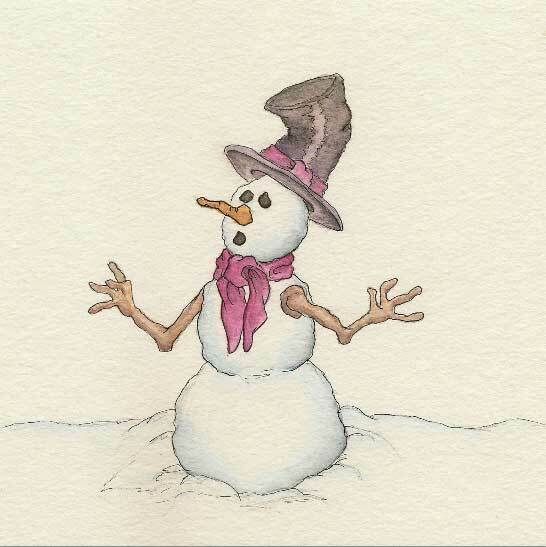 The one thing you must have is patience…lots of patience! Think back to the first time you switched on a computer…can you remember wanting to put your boot through the screen? I certainly did – but you have to be patient and the learning process will quickly move you from novice to proficient to expert! Graphics tablets offer many advantages over conventional drawing methods. This is why a pencil-on-paper drawing is becoming something of a novelty. For instance, not only can digital art be emailed with ease, but it can also be uploaded to popular cloud-based services like Dropbox and Google Drive. This allows the file to reach anywhere in the world within a matter of seconds. 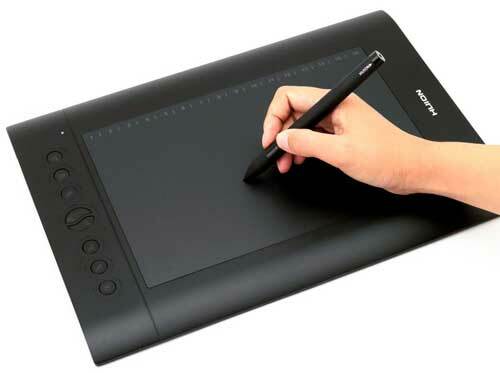 Another pro is that despite the “digital” aspect of it, graphics tablets allow for natural drawing motions. 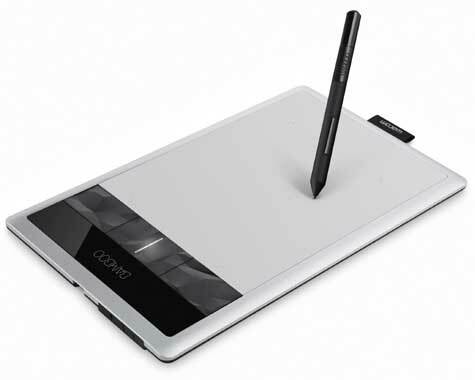 Paired with a sufficiently sensitive pen, the pressure sensitivity of the tablet plays an active role in being able to trace over existing printed images. This is especially useful when desiring to transfer paper drawings into a digital medium for either storage or retouching. The only disadvantage of graphics tablets is the cost of acquiring the right one for the job. Although there are some inexpensive tablets available, those with the direct pad are oftentimes higher-end, requiring a significant investment. Two excellent indirect pad tablets are the Wacom Bamboo Capture Pen and Touch Tablet and the Huion H610PRO Painting Drawing Pen Graphics Tablet. The Bamboo Capture is by far one of the best starter tablets. This compact tablet features an active area of 5.79” by 3.62” that detects 1,024 levels of pressure sensitivity. It also has a has a superb resolution of 2540 LPI (Lines Per Inch). A one-year warranty is included. On the other hand the Huion H610PRO Painting Drawing Tablet is slightly more expensive although you can get bargain bundles on Amazon. This low-profile tablet features a larger active area of 10” by 6.5” that detects 2,048 levels and has a resolution of 5080 LPI. A twelve month warranty is included. Both of these tablets are similar in quality and suit both the hobbyist and the professional, depending on the intensity of the required tasks. A range of ‘pad tablets’ came out in 2015 which include specific graphics software for different styles of art. These are the way to go if you are looking for a complete package and Wacom is a premier brand. 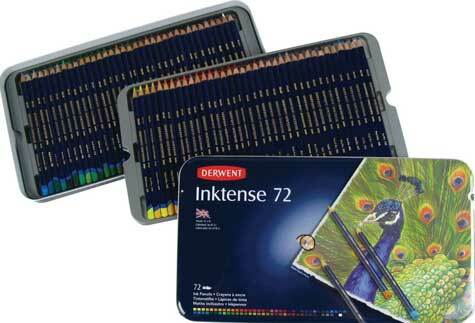 This is also a great addition to your existing graphics drawing tablet as it is highly portable. 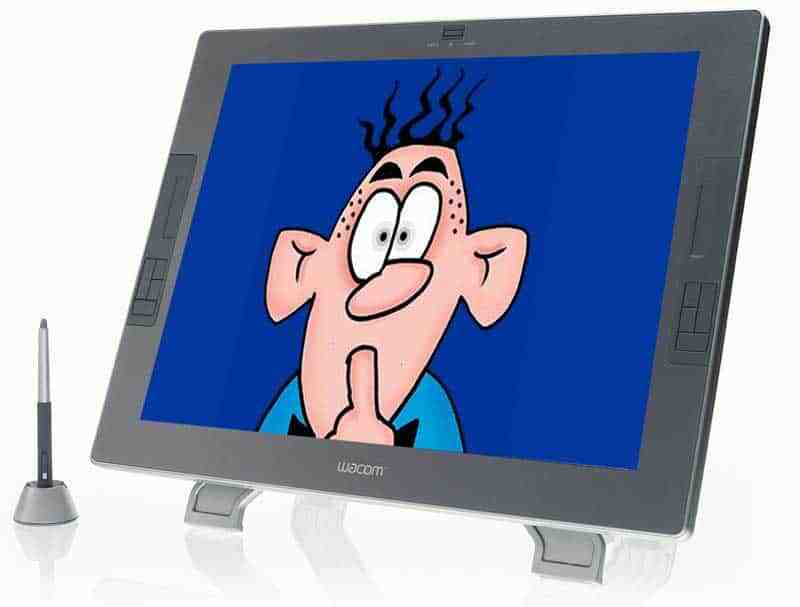 Ugee 19″ features an active area of 15.8” by 10” that detects 2,048 levels and has a resolution of 5080 LPI. A one-year warranty is included. This is a tablet of great quality and a definite bargain with a large screen area at a fraction of the cost of a Wacom Cintiq. On the other hand, CINTIQ is the definitive higher-end tablet. This extremely impressive tablet has an active area of 21.5” (diagonal) that detects 2,048 levels and has a resolution of 5080 LPI. A two-year warranty is included. 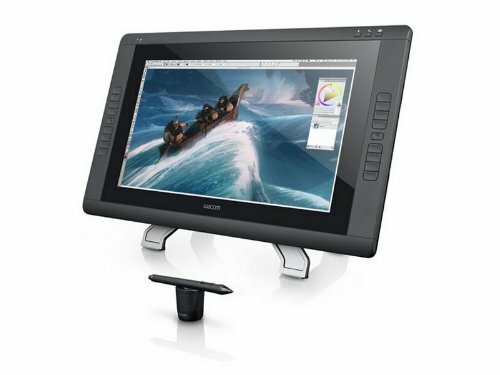 If you have the financial means and decide to pursue the use of graphics tablets further, CINTIQ is something to keep in mind. There are larger CINTIQ tablets available and you might want to take a look at my full review of the CINTIQ range to get a better feel for each model. However I believe that the 22″ model is a great manageable size and considerably cheaper than the 28″ version. Which size and brand of graphics tablet would suit me best? Now that we’ve reviewed how graphics tablets work, helpful tools, and a few great products, let’s review a couple of questions. For instance, one common question is whether or not size matters when it comes to graphics tablets. In the world of digital art, it does. So, how big does a tablet really need to be in order to achieve a job well done? This tends to be a matter of preference, but in general, most artists gravitate toward mid-size to large tablets as they allow for more natural movement when drawing. Another question for beginners is which brand is considered to be the industry standard? The one that every other brand looks to emulate with their own products. The answer to this is Wacom. Wacom is the premiere brand of graphics tablets, providing products for both hobbyists and professionals at various price points. 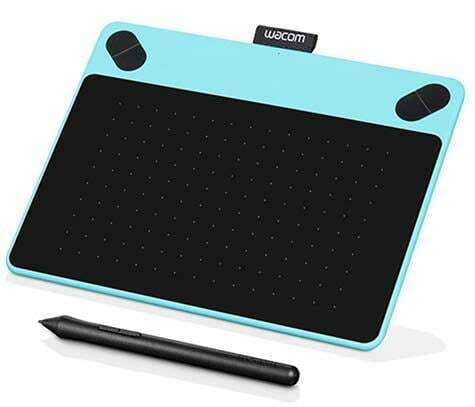 If a specific starting point were to be suggested, the most inexpensive indirect pad tablet (Wacom Bamboo Capture Pen and Touch Tablet) would be the way to go. This great little tablet, allows you to see whether you take to the idea of a digitising tablet. This starter tablet would allow you to get a feel for crafting digital art and give you a great lesson on how everything works for a minor cost. Important to note is that the configuration available comes with everything needed to get started. This includes a battery-free pen USB cord, and full-version creative software. Although you might want to eventually upgrade to one of the more expensive tablets, getting your hands on a Bamboo Capture is a great place to start. So which is the best drawing tablet for beginners? Overall, my hope is that this crash course in graphics tablets and the many aspects that surround them has been helpful to you. Hopefully you will have a better idea of which is the best drawing tablet for beginners from the range of products available. I have written many graphics drawing tablet articles and reviews and continually update them. If you need to do some further research you should find them helpful. Are you ready to enter the world of digital art? Stuck for an idea? Need to get some artistic inspiration? 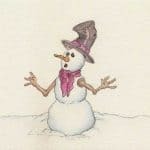 See our article to easily find fun things to draw and test your mind!